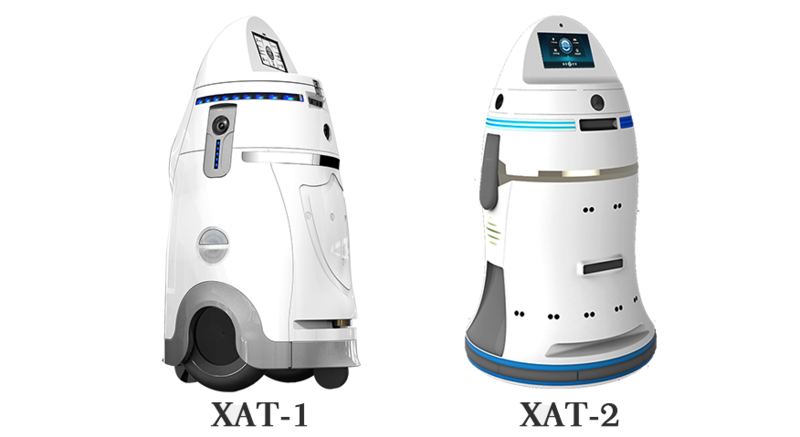 Indoor Intelligent Security Robot XAT Series can provide four core functions of autonomous patrol, safety prevention, portrait recognition and reciprocal service. 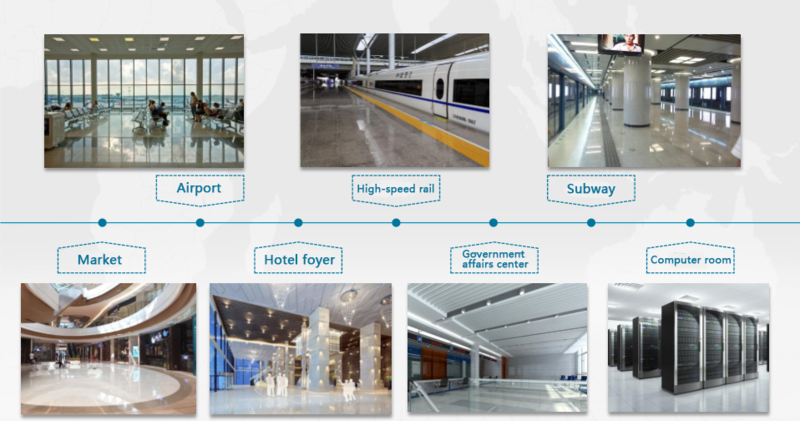 It can be widely used in airports, high speed rail, subway, shopping malls, hotel lobby, government center, machine room and many other occasions. Using laser radar or visual SLAM technology to detect working area and set up environmental boundary map for robot autonomous running. 2D/3D laser radars are optional. In the course of patrol, the robot combines a code disk,IMU,laser radar and visual sensor to achieve real-time positioning. And carry out the task according to the established routes and time. The robot adopts the heuristic path search algorithm based on potential field map to select the most secure path. And to avoid obstacles based on various sensors, such as laser radar, vision, ultrasonic, infrared, collision and others. The robot automatically navigates to the position of the preset charge pile when the power of the robot is lower than a certain threshold to recharge after communicate and align with charging pile. The robot is equipped with four high definition cameras to achieve the 360 degrees surrounding monitoring. 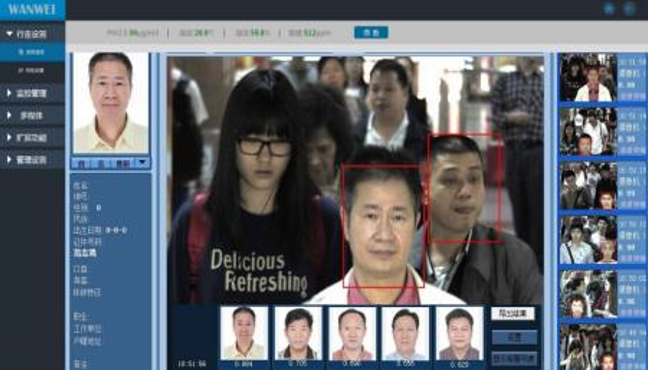 Real-time and historical audio and video data can be viewed through the network by using a robot management platform. 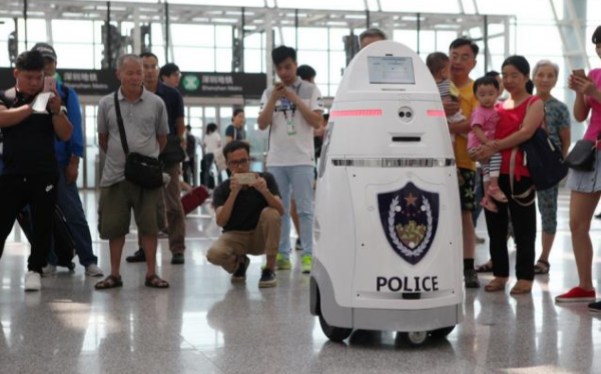 The robot can detect pedestrians, dynamic targets, vehicles and other established targets from the real-time video, and upload the detection target to the robot management platform in real-time. The robot management platform can be compared in real time according to the real-time uploaded detection target. Such as real-time comparison of key personnel database, and early warning according to the results of recognition. The robot can carry sensors such as temperature, humidity, smoke and so on. Real-time monitoring environmental information and the real-time warning are reported to the robot management platform. Robot is equipped with one button call help button. When the alarm is triggered, the robot sends out a police sound and light alarm and synchronizes report the robot platform manager. 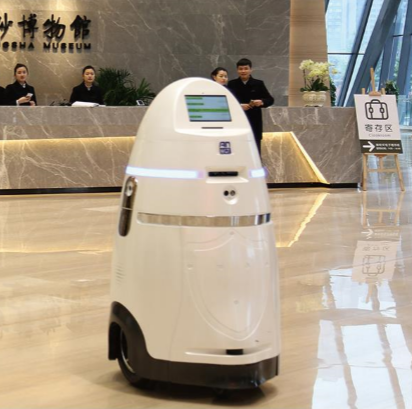 In case of emergency, managers can realize remote audio-visual interaction and interactive functions through robot management platform remote control robot, and improve the response efficiency after early warning. The robot equipped with an anti riot fork, an electric shock gun, or a strong light blinding device. 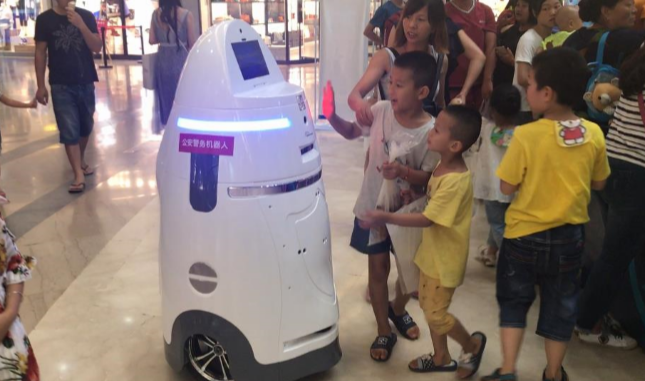 The manager can manipulate robot remotely through robot management platform to open discharge deterrence, anti riot collision and other functions. It can effectively deter and curb crime. 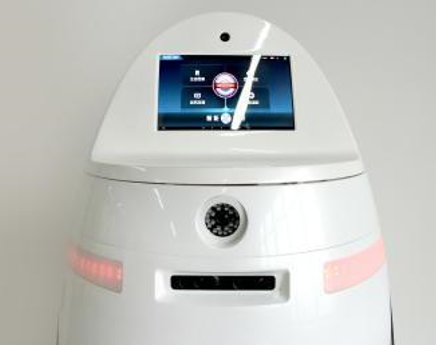 The robot system integrates intelligent brain, which can provide voice and guided services based on voice and text interaction, such as chat interaction, inquiry service, welcome speech and other human-machine interaction functions. It can be initiated audio and video dialogue by robot to the robot management platform in a particular scene. It can play related safety publicity films, advertising, important word information, etc. during the patrol of robots by multi-media display function of robot configuration. Security is an important factor in social stability with the development of society. The current mode is Civil Defense + video surveillance. So it is not possible to find danger in time and deal with it in time,especially in the complex and bad conditions of the environment. 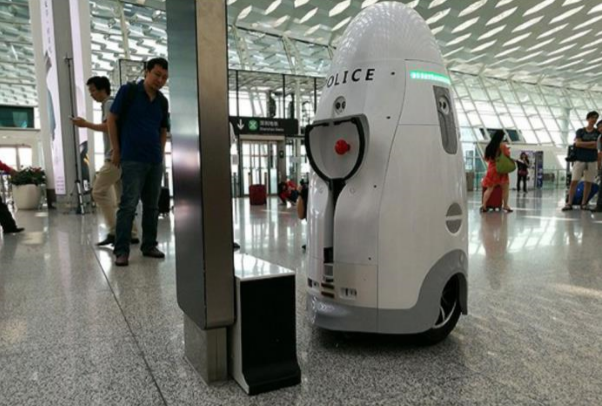 The security robot can bring a new level to security. This entry was posted in Robot, Security robot, Service robot and tagged Security robot, service robot. Bookmark the permalink.